Raz's Midnight Macabre: THE MORTUARY COLLECTION NEEDS YOUR HELP! An eccentric mortician spins four twisted tales of madness and the macabre in a sleepy New England town where nothing is as it seems. The Mortuary Collection taps into four distinct horror sub-genres, making it a virtual pot-pourri of horror favourites. There's a Monster Movie, a Slasher Film, a Ghost Story, and a Psychological Tale of Madness, all intertwined in a sleepy New England town. Whether it’s a haunting tale of revenge from beyond the grave or a ghastly abomination of science and technology, one fact remains… Every corpse has a story. 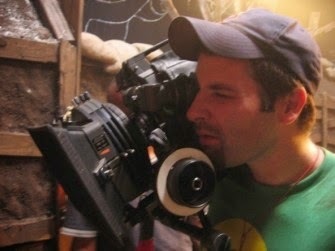 Los Angeles-based filmmaker Ryan Spindell is a huge fan of 80's horror, particularly the practical effects and lifelike monsters that slashed up screens both big and small during that oh, so glorious decade. He's also got a serious soft spot in his heart for the horror anthology, and that's why he's making one of his very one, entitled "The Mortuary Collection". But he needs your help. After trying to convince various studios to back his idea for an 80s-inspired horror anthology, Spindell has taken matters into his own bloody hands, recently launching a Kickstarter campaign in an effort to raise the necessary funds to bring his throwback love letter to life. Described as a stylized live-action horror anthology film that fuses the surreal storytelling of "The Twilight Zone" with the goopy aesthetics of "Tales from the Crypt," The Mortuary Collection will be comprised of four twisted tales of madness and the macabre in a sleepy New England town, spun by an eccentric mortician. On the run from the police, a misguided young girl takes refuge in a decrepit old mortuary. There she meets Montgomery Dark, an eccentric undertaker with more than a few skeletons in his closet. Montgomery chronicles the strange history of the town through a series of twisted tales, each more terrifying than the last. But the young girl's world is unhinged when she discovers that the final story... is her own. Spindell needs $50,000 to bring the ambitious film to life, and at the time of writing this, just under $40,000 has already been raised. 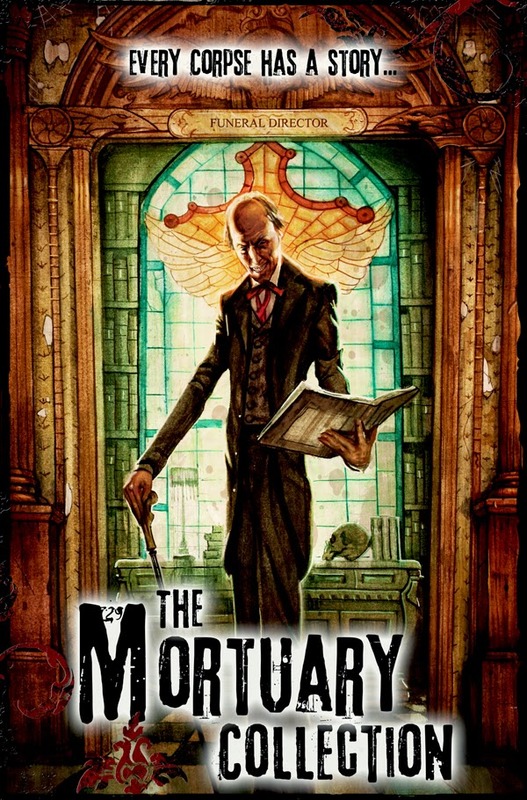 Head over to The Mortuary Collection's Kickstarter campaign HERE to help out.